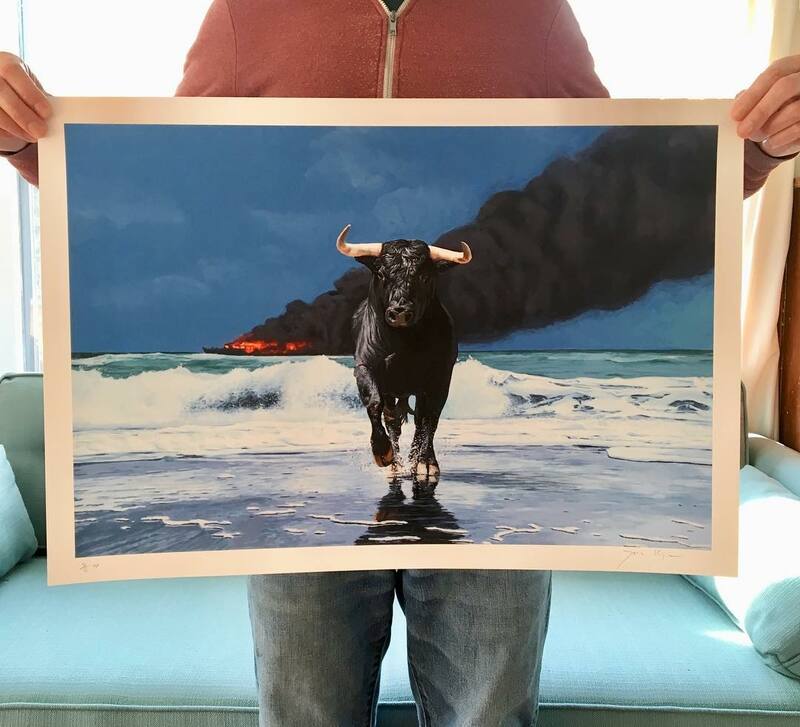 Josh Keyes (interviewed) recently released a new print through Thinkspace entitled Landfall based a painting from his show at the gallery (covered). Featuring an image of a bull running from the ocean with a burning ship in the distance, the piece is typical of the Portland-based artist’s penchant for juxtaposing the natural world against the folly of man. Sized at 18×26 inches and produced in an edition of 175, the print can be purchased here for $200. Categories: Contemporary Art, Low Brow & Pop Surrealism, Releases. 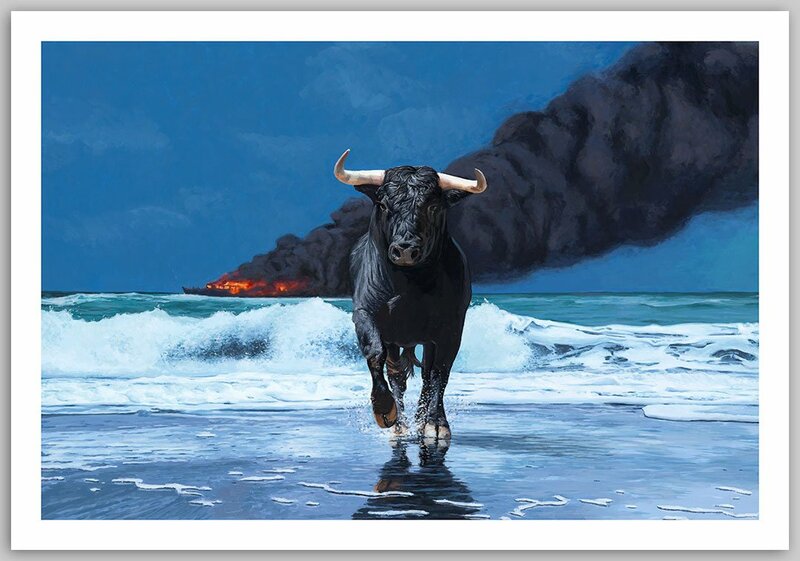 Tags: Contemporary Art, Josh Keyes, Low Brow & Pop Surrealism, Prints, Releases.